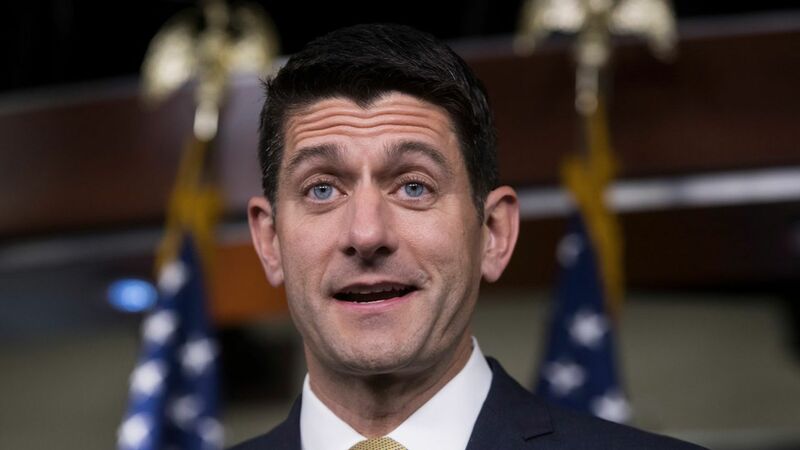 Paul Ryan on tax cuts: "This is the game changer"
House Speaker Paul Ryan on CNBC Thursday morning: unlike with heath care, "on this go around" all Republicans teamed up over the last four months. "We made sure we're on the same page... we made sure we did the hard lifting and the tough work ahead of rollout," said Ryan. "We are all in on this... this is it. This is the game changer for our economy." 20% corporate tax rate: "I am very excited [Trump] said that's a red line or bright line for us... we're going to stick the landing on that, and we're just as committed as the white house on that." Do you need Democrats to pass this? "I don't think so... I think [Sen. McCain] will vote for this... we're doing this exactly the way this process is meant to be done... we're using the rules as they were intended to be used." Graham-Cassidy failure: "We're pretty frustrated about this as well. Look we've passed 373 bills here in the house, two hundred and seventy something are still in the Senate..."
On goal of 3% GDP: "We can get 3% economic growth in this country, but our tax code is holding us back... high business taxes are killing competitiveness." Will this pass by the end of the year? "Oh yeah... you don't get 3% growth in 2018 if you don't pass it in 2017."